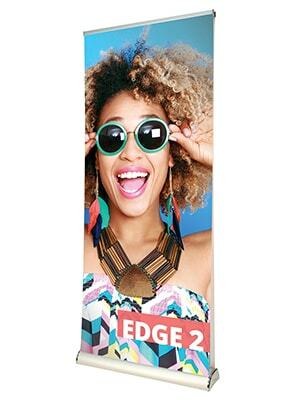 Smart double-sided Edge 2 is designed to impress. With chrome end caps and a standard graphic height of 2000mm, Edge 2 is a durable display with big impact. 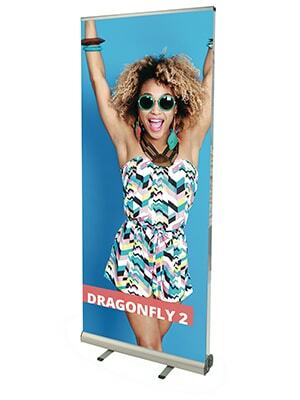 Dragonfly 2 is a double-sided basic banner that is versatile for it can also be employed as a single sided banner stand. 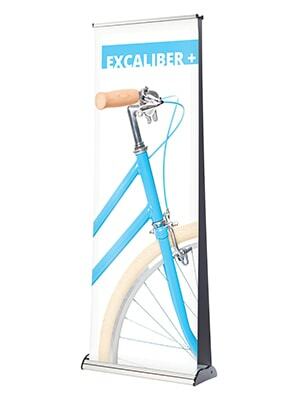 Excaliber 2 is a premium, versatile Double-Sided Roller Banner. Tough, durable and stable, Excaliber 2 has been carefully crafted and designed to incorporate the Linear channel allowing the integration of Linear accessories such as literature and tablet holders.